Adidas is one of the well-known sportswear manufacturers for several decades now and started in the name of Gebrüder Dassler Schuhfabrik for 35 years thereafter, use the name Adidas for 67 years until today. The trademark designs and fitness objectives have to lead the company to produce different lines of apparels, footwears, and accessories that will help the users freely move and brings comfort to their activities. 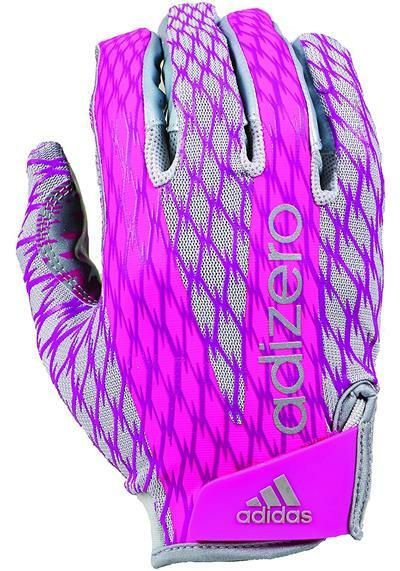 In the modern times, Adidas have innovated fierce, stylish, durable, and comfortable sportswear in which gloves are some of their beautiful designs that support sports enthusiasts like football players, golf players, baseball players, and more. Get a pair of their football gloves now and explore these various hand-wear accessories for your tournament’s victory! Do you want to last longer while playing aggressive football games? This pair of sportswear accessories will help you protect your hands from sudden impact due to their full padded protection on the finger parts, knuckles, and wrist. The sensitive nerve parts of the hands are extremely covered and secured with its heavy duty synthetic leather design. 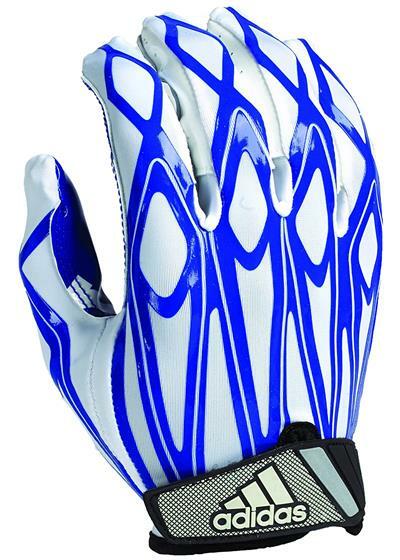 As you can see, the palm part has a flexible synthetic leather to block the sudden impact while playing the sport. On the other hand, the back part composed of mesh durable fabric for a breathable sweat-free feature. In addition, it is made with a fit closure design with Velcro features for a secure yet comfortable experience. For the available colors, it comes with black-gray and white-black selections. Don’t let your guard down and capture the ball as quick as possible without slipping it on your palms. Block the ball with the full speed and powerful gloves of Adidas and show off what you’ve got. This football receiver is built with Lycra material and provide dynamic fit and comfort in the hands of the player. The portion of the palm was made of heavy duty synthetic leather material for a defensive and powerful blockage against the pressure of the ball towards the player. 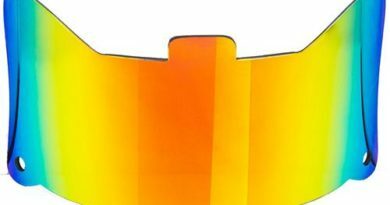 The wristband was made of neoprene and low profile Velcro for its closure fit and comfort. When it comes to sizes, it has a wide selection available from Extra Small to Extra Large. 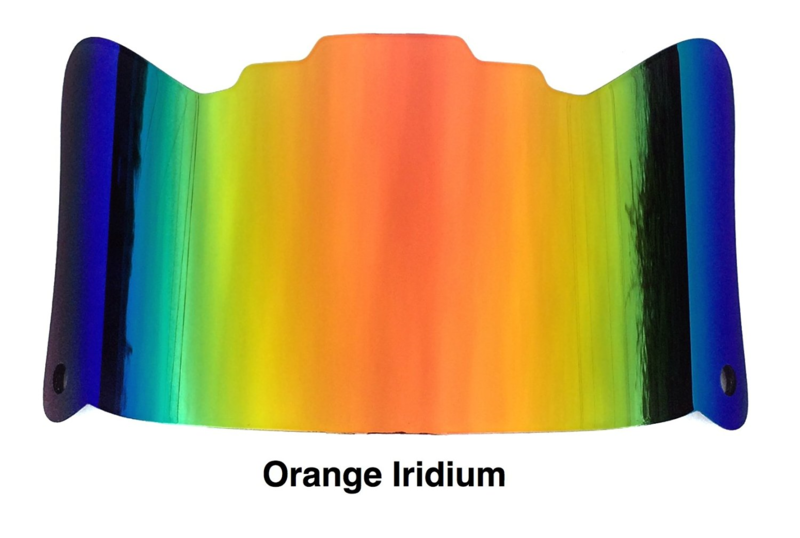 Furthermore, it can be available in four combination colors such as white-black, white royal blue, white-red, and white-pink. 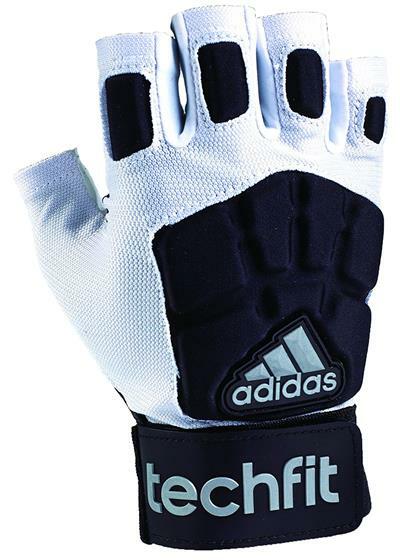 Keep your hands intact with protective sportswear accessory that only Adidas brand can offer. Experience a lightweight and quick mobility with this football receiver and manage to move freely due to its 4-way stretchable capacity and Nylon compression fabric that makes your hands flexible. Level up your dexterity with its double coated glossy palm texture that can grasp the ball in a solid control. Moreover, it is made up with reinforced seams that add durability to the gloves. Consider this to your cart now and know all the available sizes and colors for your style and fit preference. It is available from medium to extra-large and comes with gray, silver, and pink color. 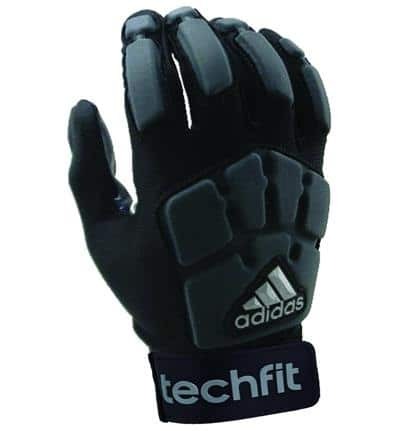 If you prefer a half finger gloves, you may try this pair of sportswear accessory made up from breathable mesh material and grade Lycra fabric. It’s palm composed of heavy duty synthetic material that can capture the ball with 100% clench. 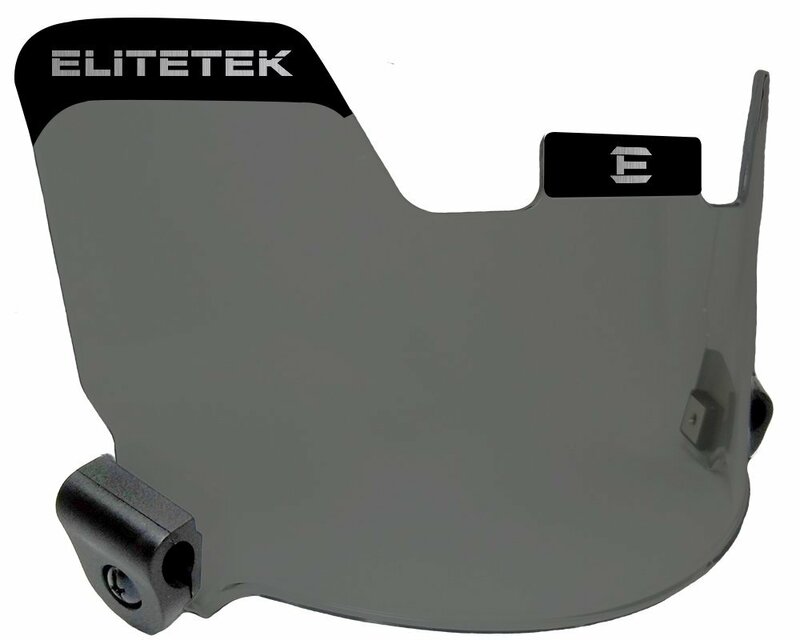 It has a flexible grip and control hence, it can make your performance the best. Moreover, it contains a padded base palm material that can withstand the pressure of the ball when it hits to the palm. In addition, the wristband was made from low profile Velcro and molded rubber tab for a secure fitting and closure. 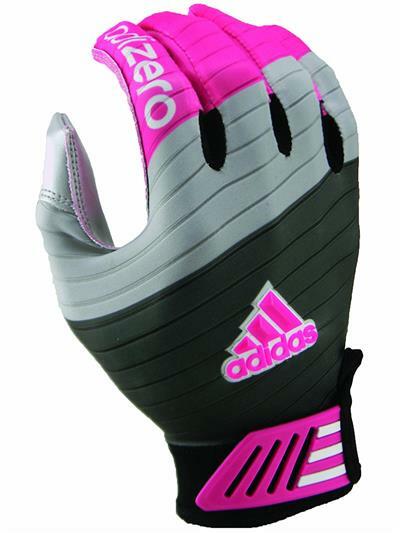 Don’t hesitate to order this amazing pair of gloves that have various sizes and colors available. You may choose from small to double extra-large as well as white-black and black-grey colors. Get this 4.0 football receiver pair of sports accessories that will provide you the ultimate protection that your hands deserve. First of all, this accessory passed the certification for NOCSAE standards which connotes that it is a safe sports accessory to wear. When it comes to its features, it has a TPU application and 3D overlay to experience a lightweight and a perfect fit on your hands. As you can see, you will notice the stylish mesh appearance with fashionable patterns which is absolutely perfect for your sense of style. Moreover, it composed of a Seamless Grip tack palm for a powerful and controllable grip function. It is also made from neoprene and compression fabric for a secure fit on the wrist part. It is available in small up to quadruple extra-large sizes and consists of a variety of colors such as white, black, white-black, white-red, white-navy, white-royal, and platinum-pink. Click here to see all the sizing chart information! In overall, Adidas’s products might not be cheap but they provide high quality with beautiful design. For other custom gear, check our main page.